Cost-Effective, Flexible and Trusted Integrated Estate Agency Solutions. 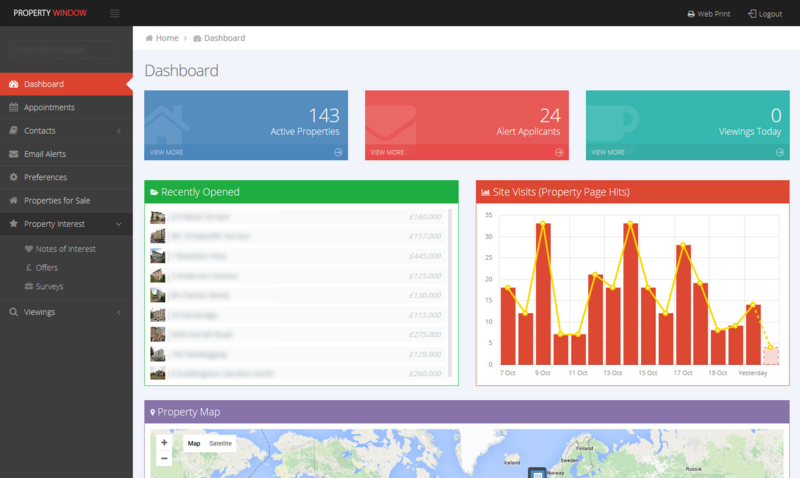 Integrate our Powerful Property Search Technology into Your Own Property Website. Easily Create Property Schedules Online with our Modular Web Print Plugin. Synchronise Data Through all Modules and Property Portals. Low Cost Property Website Design Service. High Quality Printed Sales Brochures. Property Data Feed Service Available. Property Window's cloud based estate agency system brings to the market cost effective online estate agency services coupled with modular property marketing services. Our unique offering seamlessly combines a back office estate agency system along with built-in marketing services so that your property department can manage all estate agency services from one easy to use online platform. We are one of very few providers who have made available a 'one off cost per property upload' payment structure to ensure that our system is affordable for all sizes and structures of businesses. If you are looking for a flexible, powerful yet affordable estate agency system that ticks all your boxes then look no further than Property Window.